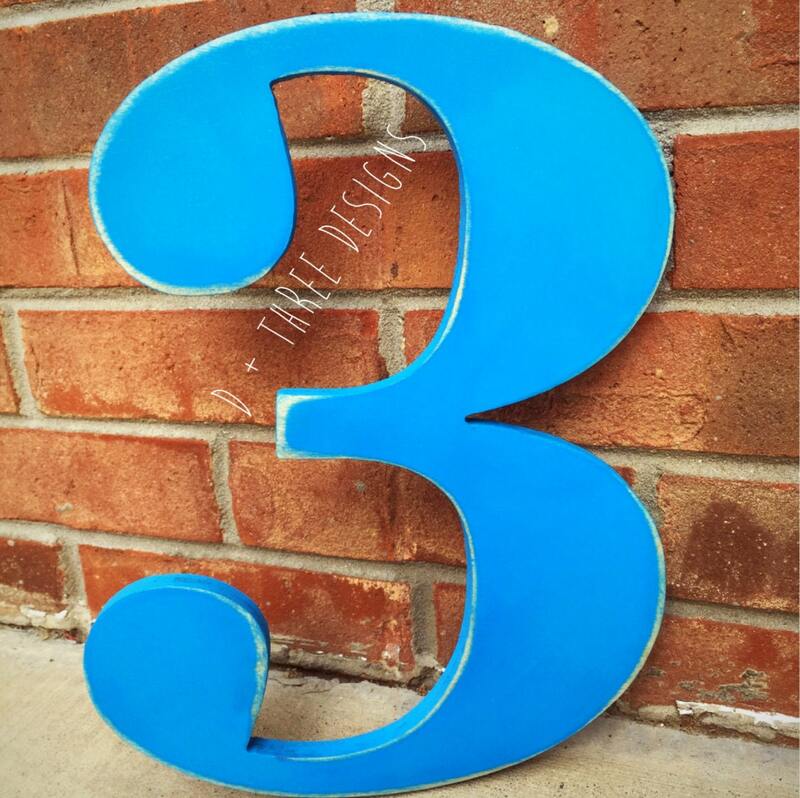 This listing is for one 12 inch wooden number that you choose painted and distressed in the color of your choice! 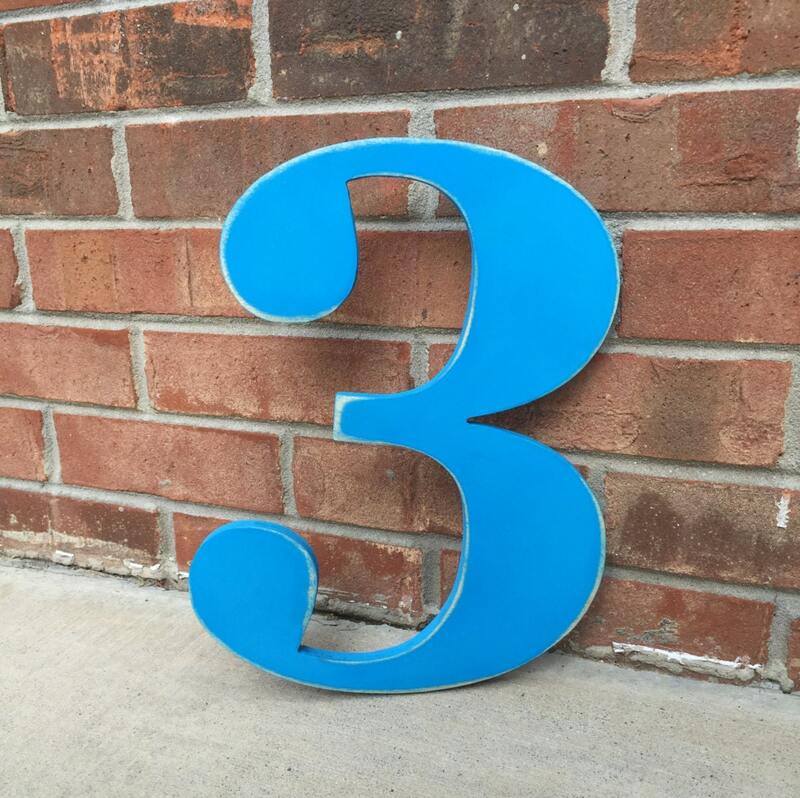 The wooden numbers will be sanded and painted and cut from 1/2 inch birch wood. Other sizes and fonts are available just message us for a custom request! To select the paint color, look at the photo of the paint chart within this listing and pick the color number. 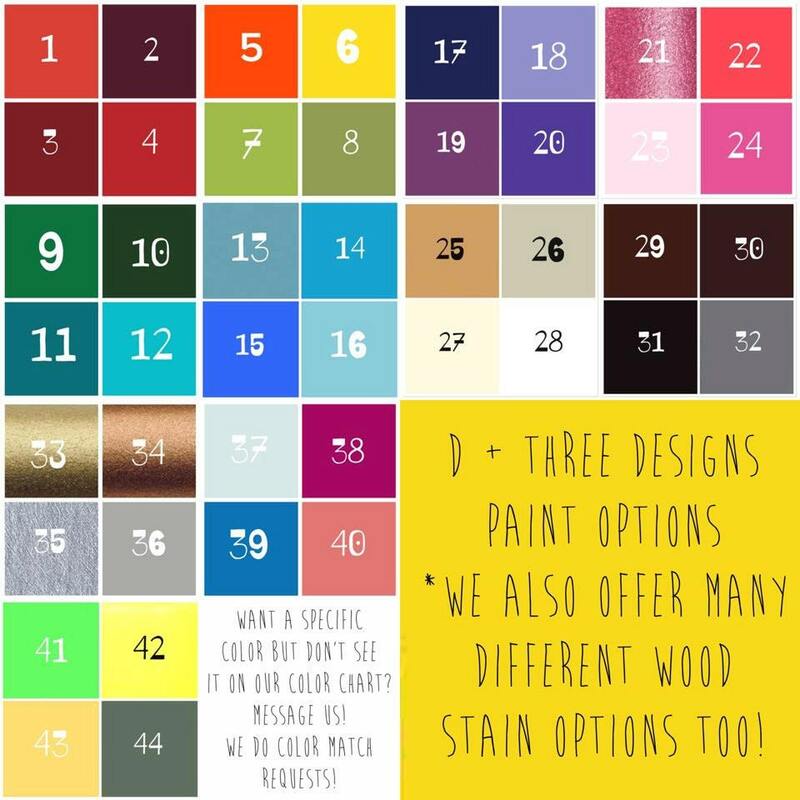 When you check out/purchase please include the paint number along with what wooden number you would like in the "NOTES TO SELLER" box. LOVEEEEE it! I am extremely happy with my daughter's #6 wooden birthday number (in lavender)! I ordered from DPlusThreeDesigns last year for my daughter's 5th birthday (in pink) and I loved how they made it so I decided to order from them again this year. I highly recommend this shop if you want beautiful wooden birthday numbers! Thank you for your beautiful work, exceptional quality and overall service! Super fast shipping and delivery too!